Head to Rubin Cloth Shop and Central Marketfor some retail therapy. There's still lots to do: look for gifts at Little Angel Cloth Shop and buy something for everyone on your list at Nhat Silk. To see other places to visit, more things to do, photos, and other tourist information, use the Hoi An trip itinerary maker . Canberra, Australia to Hoi An is an approximately 16.5-hour combination of flight and taxi. You can also do a combination of bus, flight, and taxi. Due to the time zone difference, you'll gain 3 hours traveling from Canberra to Hoi An. In August, Hoi An is much hotter than Canberra - with highs of 40°C and lows of 30°C. Wrap up your sightseeing on the 19th (Sun) to allow time to drive to Hue. 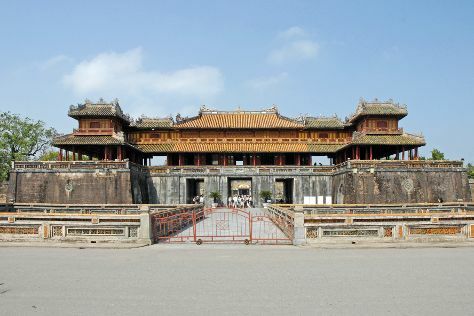 On the 20th (Mon), admire the landmark architecture of Thien Mu Pagoda, then contemplate in the serene atmosphere at The Mieu Temple, then contemplate the long history of Hue Imperial City (The Citadel), and finally look for gifts at Healing the Wounded Heart Shop. For other places to visit, where to stay, reviews, and other tourist information, use the Hue trip planner . You can drive from Hoi An to Hue in 2 hours. Alternatively, you can take a bus; or do a combination of bus and train. August in Hue sees daily highs of 40°C and lows of 29°C at night. Cap off your sightseeing on the 20th (Mon) early enough to travel to Hanoi. Head to 54 Traditions Gallery and Indigo Storefor plenty of shopping. Escape the urban bustle at Lake of the Restored Sword (Hoan Kiem Lake) and West Lake. The adventure continues: appreciate the extensive heritage of Old Quarter, stop by Chula fashion showroom, contemplate the long history of Hoa Lo Prison, and explore the world behind art at Fine Arts Museum (Bao Tang My Thuat). 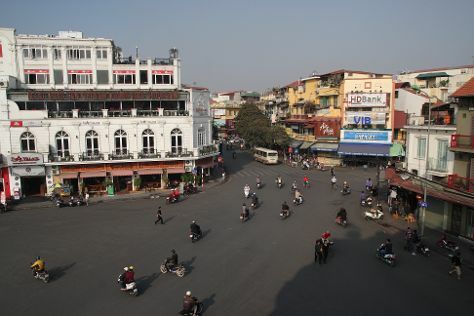 For maps, reviews, photos, and tourist information, read our Hanoi route builder site . Traveling by flight from Hue to Hanoi takes 3.5 hours. Alternatively, you can do a combination of train and flight; or drive. Finish up your sightseeing early on the 23rd (Thu) so you can travel to Nha Trang. 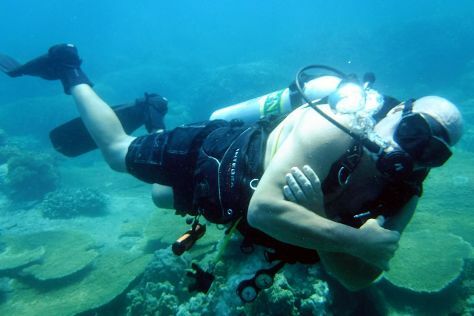 On the 24th (Fri), choose your vessel at Mark Scott's Diving Vietnam. Get ready for a full day of sightseeing on the 25th (Sat): take in the spiritual surroundings of Po Nagar Cham Towers, explore the activities along Hon Chong, and then kick back and relax at Nha Trang Beach. To find more things to do, traveler tips, and more tourist information, refer to the Nha Trang trip planner . Traveling by flight from Hanoi to Nha Trang takes 5 hours. Alternatively, you can do a combination of train and flight; or drive. Finish your sightseeing early on the 25th (Sat) to allow enough time to travel to Ho Chi Minh City. Kick off your visit on the 26th (Sun): get engrossed in the history at War Remnants Museum, savor the flavors at Food & Drink, and then stop by Thuy Design House. 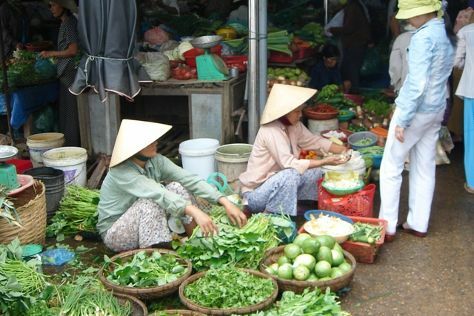 Keep things going the next day: look for gifts at Viet Thanh Silk, then look for gifts at Ninh Khuong Hand Embroidery, then browse the eclectic array of goods at Ben Thanh Market, and finally browse the eclectic array of goods at Binh Tay Market. To find traveler tips, maps, ratings, and other tourist information, go to the Ho Chi Minh City road trip planning app . You can do a combination of shuttle and flight from Nha Trang to Ho Chi Minh City in 2.5 hours. Other options are to do a combination of train and flight; or drive. In August in Ho Chi Minh City, expect temperatures between 38°C during the day and 29°C at night. Finish up your sightseeing early on the 27th (Mon) so you can travel back home.